Here is the complete list of 51 content marketing statistics you should know. You already know content marketing is one of the most effective ways to skyrocket your leads, traffic, and brand growth. However, we can’t just go with our gut feeling. We need facts and stats to back it up. Knowing the current trends with these content marketing stats provides insight for adjusting your content strategy to drive more traffic to your blog. Get my Traffic Blueprint For Blogs where I show you step-by-step on how to generate traffic to your blog. Feel free to tweet these amazing content marketing stats. According to a study by Kapost, in partnership with Eloqua, when $1000 dollars was invested separately into paid search and content marketing, paid search generated nine leads, while the ROI on content marketing was up to 31 leads. When you consistently focus on content marketing over a couple of months, it gets to a point where you have up to hundreds of Google indexed blog posts, receiving massive amounts of traffic, and generating leads for you on autopilot without spending anything on paid search. Not only is content marketing cheaper than outbound marketing, where you send out promotional messages to your audience, but it also converts more because of the relationship between you and your buyers built via custom content. Nothing as sweet as saving 62% cost off content marketing while generating a higher ROI. People saw around 2000 ads and brand exposures daily in 1984. By 2017, they were exposed to 10,000 ad messages a day. The number of brand messages being thrown at the faces of consumers at the rate of 10,000 ads a day is overwhelming. This development has forced many potential customers to turn on ad blocking. Unless you create a custom content that provides value to your customers while building a relationship with them, your brand message is probably not going to have many impressions online. The reason businesses that blog experience higher lead generation than those that don’t is because the blog posts act as a marketing vehicle that woos passersby on Google to find the answers they need in your blog. These leads are already hot for conversion. Having different blog posts that solve different problems expands the reach of a company’s brand, and provides an avenue to introduce their solution and increase email signups. Having 434% indexed pages from search engines like Google means recurring monthly traffic leading to a smoother lead generation from your marketing efforts. It’s clear that content marketing will take you farther than paid advertising or outbound advertising. Companies that publish 16+ blog posts monthly got almost 3.5x more traffic than those that publish 0-4 monthly posts. The higher the frequency you produce quality blog posts, the greater your traffic potential. New blog posts provide a fresh opportunity to get indexed by Google, reach more people, get new backlinks, and attract leads. You eventually double your traffic when you double the topic ideas in your content calendar. It is reported that teenagers and youths between the ages of 18-29 are always online for the most part of the day. Guess what they are probably reading online? Compelling blog posts that are written by smart content marketers enticing them to join their email list. Among these young adults are your future customers. The younger populace has shifted from getting their information on TV to online blogs, and that means there’s a ready market waiting for your content and what you have to offer. Long-form blog posts are perceived as more valuable and linkable because of the added value and tips contained that makes it lengthy. Curata found out that blog posts of a longer length generated 9x more leads than shorter blog posts. It pays to take time in writing ‘epic’ posts and guides that provide immense value to your readers. The saying, great content takes time, still holds true. Over 1000 bloggers were asked if they updated their old blog posts. 38% responded in the affirmative. That meant that 62% of bloggers think updating old posts isn’t an effective content marketing strategy. Those bloggers who updated their old blog content saw a 34% result increase on their updated posts. Google tends to favor content that was published or updated recently, as opposed to one that was last updated three years ago. Blogging, social media, and case studies are the main content marketing tactics for most B2B marketers. Blogging is ahead of social media and case studies tactic by one percent. So far, content marketing still tops all methods of brand promotion. More than half of marketers rely on blogging to drive leads and sales for their online products and services. Blogging is so effective because people prefer to do business with people these days, rather than an impersonal brand. Blogging connects you with people in deeper and personal ways than plain advertising. It allows you to inject your unique personality into your content and build trust, a very important attribute to make sales nowadays. Almost half of your readers hurriedly scan through your post looking for information they need. Gone are those days when everyone enjoyed reading an article from start to finish. The solution to this is using large headers that jump out of the content like h1, h2, and h3. Make sure the text on those headers entices them to read what’s written below it. You could also use symbolic pictures and visuals to stop them in their track as they speed-scroll. SerpIQ discovered that content over 2400 words ranks highest on Google. Top ranking content previously jumped from 500 words to 1142 words in 2014. Currently, it’s now a little above 2400 words. Google uses scroll depth as a ranking factor. Longer content has a deeper scroll depth and tends to contain more information and value than a brief 500-word post. It’s a good SEO practice to make the word count for your content at least 2500 words, as the word length is going to keep increasing over time with the competition and saturation of your niche. The fact that readers spend such little amount of time reading a post is the effect of the short attention span the advent of technology has induced on us. To make readers stay longer on your blog, use h1, h2 headers that jump out of the article and catches their attention. These headers should have an attention-grabbing title that’ll make them want to read the text underneath. A sizeable number of marketers have confidence in their marketing ability. Of course, they’ve got to be confident when their efforts yield real results. At the very heart of content marketing is an intimate understanding of the customer’s problems, and a customized offer crafted to solve those painful problems. Content marketing begins by researching the pain points of your ideal customer and knowing the words they use to describe their problem on Google. You can find out these things on forums, Quora, Google keyword planner, and by studying other content marketers in the same niche as you. I believe the followers of these content marketing leaders can equal the 7.8x higher traffic gap. Continuous research of the target audience and improving content to provide a unique solution to their needs will increase traffic. The leaders of content marketing usually have to be on their A-Game to share what’s working and what’s not working with their followers. They probably made more mistakes than their followers and learned more in the process. That accounts for their success in higher traffic generation than their followers. 2014 was the year the majority of marketers started using content marketing and saw tremendous results. The numbers must’ve risen by now. People prefer to buy products from a brand that has written customized content to solve a problem for them. Customers purchasing your product after building trust via your content will feel like it’s the most logical thing to do. The salesy, traditional method of flashing ads at their faces will be done away with, and you’ll be marketing with value. A whopping 78% of Chief Marketing Officers (CMOs) already believe that creating customized content is the future of marketing. Content marketing is the way of escape for credible marketers who wish to stand above the noise online. Tailoring your content to a specific buyer persona boosts the chances of that target audience relating to your post and responding to your call-to-action. Companies that placed emphasis on content marketing were reported to have experienced 6x higher conversion rates than companies who didn’t. Content marketers that focus on advertising their products by creating blog posts noticed a 2.9% increase in conversions than their counterparts who ignored content marketing altogether. The solution to increasing your conversion rates would be to increase the budget for content creation. You could outsource writing to a freelance writer if you wouldn’t have the time to write. Content marketers that know what they’re doing are spending 39% of their marketing budget on content marketing only. Setting aside a reasonable amount of time and budget for content creation will see a corresponding increase in conversions. Marketers everywhere have now caught up with this reality. Content creation and promotion should be integrated into your marketing strategies to stand above the noise online. 81% of marketers got a steady boost in traffic when they spent 6 hours every week focusing on marketing and promoting their content on social media. Success with social media marketing comes with mastering and dominating one social network, before moving on to the next. I recommend you start with Pinterest before moving to LinkedIn, Facebook, and Twitter. Infographics have a high viral coefficient as it caters to the overwhelming population of visual learners and makes them experience your blog in a multimedia style. In case you’re thinking of how to make an infographic, you could use an online photo editor like Canva. Once in a while, you could also repurpose an existing blog post you have into an infographic. People are more into infographics than they are into written content. Visuals and images are more preferable to read than a long text. Infographics can be created with an online photo editor like Canva. The number of visual learners is clearly more than the number of people who learn via written content. With a few clicks here and there, the buyer can read all about his desired product, reviews, pricing, how it works, FAQs, all without talking to a single sales rep. So how can the content marketer position himself to take advantage of this? The hint is found in the next stat. Not many customers can resist a content that articulates their secret pains interlaced with a customized offer that uniquely solve their problems. Buyers have openly confessed that they can be motivated to make a purchase when they read a quality, customized content. Content marketing can make the difference between closing the sale or not. The key is having a thorough understanding of your target audience. You can do that by sending a survey out to your email subscribers with revealing questions that’ll help you to know what they want better, browsing through forums in your niche to see what questions people ask, and studying the words other content marketers use in their sales pages. The number of marketers that believe they’re successful in tracking ROI metrics of their content marketing efforts is on the low side. It takes focus and time to actually become good at it. Having the right tools such as Google Analytics can make it easier to tell which of your marketing efforts are working and those that aren’t. Focus more on the marketing strategies that are working and overtime your marketing skills will be sharpened. 48% of marketers have a content marketing strategy that is not documented, 16% do not have a content marketing strategy at all, 4% weren’t sure they had, leaving 32% of B2B marketers with a documented content marketing strategy. Having an editorial mission statement provides a clear direction to focus your content marketing efforts on, as well as having regular weekly or daily meetings with your marketing team, whether real or virtual. 63% of marketers now create these buyer personas and write content specifically for them. Case studies are a sure-fire way to let prospective buyers know that since your products worked for a real-life customer, it’ll work for them as well. Most buyers view case studies about a product before making a purchase these days. Prospective buyers now trust case studies more than reviews or third-party reports. With the massive number of content being pumped out daily on the web, it’s not surprising for some buyers to feel overwhelmed and seek out shorter content they can easily digest. 35% of buyers prefer audio/visual content available on demand, 41% of buyers want interactive and visual content accessible on-demand, and 46% of buyers now gravitate to reading shorter content formats. Nevertheless, shorter content won’t rank high on Google. Here is what I advise you do. Short-form sales pages should be sent to your email subscribers and followers only. Then you could create a long-form sales page with the aim of ranking high on Google. The larger part of the article could be a 2000-word copywriting article explaining why your product solves the problem they have. It’s important that the content in the short-form sales page you sent to your subscribers is located at the top of the 2000-word sales page so that buyers who prefer shorter content can make a decision right there without reading the rest of your sales page. In this way, you’ve catered to your buyers who prefer short content, and at the same time, satisfied Google’s scroll depth ranking factor with long-form content. Content has long overthrown other methods used by buyers to research to products before making a purchase. 47% of buyers relied on content to research buying decisions while 50% said their reliance on content for buying-decision research is the same year after year. As a smart marketer, using content as your promotional strategy will give you more dividends than traditional advertising. Buyers benchmark themselves by reading different content types describing your products in a bid to see how the solution your product offers is applied in the real world. Case studies came out as the top content type to research among buyers at 78%, white papers came second at 77%, along with webinars at 76%, followed by E-Books at 67%, and then third-party/analyst reports. It’s noteworthy that case studies top E-Books when buyers research about a product. It only means one thing for marketers – carry out more case studies when launching a product. Content shared by an influencer obviously carries weight behind it. In fact, 87% of buyers said they gave more credence to a content shared by an influencer, while 58% said it depends on the influencer. A good way to get an influencer to share your content is to mention him/her in a blog post and reach out to them via email to let them know they were mentioned. Most times, they respond by sharing your content on their social media channels. 84% of buyers said they occasionally or frequently share business content on LinkedIn. Twitter came second at 64%, with Facebook lagging behind at 37%. LinkedIn is an underrated platform to get your content out and spread the word. Perhaps, we should look into it more. Content form like “How To..,” “5 Tips To…,” is known as prescriptive content because they provide an immediate solution to a problem. Prescriptive content was preferred by 97% of buyers. Predictive content such as “The Future Of…,” came second in reader’s preference with 87%, followed by foundational content like “Tools and Blueprints,” which came at 85%. A number of buyers revealed that they were willing to share information about themselves in exchange for content. 95% said they would share their name/company/email address, 85% were willing to share their job title and industry. Only 33% were willing to give out their phone numbers. Email address still remains the best information you could ask of buyers and prospective clients. Phone numbers, on the other hand, seem intrusive and too personal. You’ll have more conversions if you request for only an email address on your opt-in form. Producing quality and compelling content came out as the biggest challenge of 60% of most B2B content marketers, followed by 57% who said measuring content effectiveness, 57% worried about producing content consistently, 52% had issues with measuring the ROI of a content marketing program, 35% lacked budget, and 35% had trouble producing a variety of content. Some bloggers and content marketers like myself can handle writing, marketing and admin tasks required to successfully run a blog. However, not everyone can do that. Writing can be outsourced to skilled writers on Upwork or Fiverr, while you focus your creative energies on other aspects of your online business. 12% of B2B companies do not use content marketing as part of their promotional strategies. However, the majority of B2B companies create content to promote their products. As the internet mature, content marketing will be the future of advertising. Consumers prefer to read up an article about a company they wish to buy a product from rather than getting information from banner ads. Only 44% of B2B marketers have a clear vision of content marketing success. Among the 55% who had no clue, 21% were unsure of what a marketing success should be like, while 34% had no idea at all. This stat is mind-blowing to me. It means over half of marketers have no idea of the metrics they should look out for in a marketing campaign. Only 54% of marketers find internal weekly or bi-weekly content marketing meetings valuable. Among the 44% who doubt the value of these meetings, 3% said they are not at all valuable, 6% reported they were not very valuable, and 35% said they were somewhat valuable. In general, B2B marketers who met daily or weekly are more likely to consider the meetings valuable than those who met bi-weekly or monthly. Marketers who met weekly are likely to see better results on their content marketing efforts than those who came together monthly. Social media content, case studies, blogs, were the top content marketing tactics for B2B marketers in 2016. Social media played a big content marketing role in 2016 for most marketers. In recent times, case studies and blog posts have topped social media usage. In-person events topped the use of webinars/webcasts, case studies, videos, white papers, infographics, as the most effective content marketing tactic in 2016. Not every marketer is opportune to meet their customers face-to-face. Webinars and case studies follow closely behind in content marketing effectiveness. They make a powerful combo with blogging. LinkedIn beats Twitter, YouTube, and Facebook to come out as the most effective social media platform for marketing. Twitter came behind LinkedIn as 55% of marketers voted for Twitter. YouTube, SlideShare, Facebook, and Instagram tagged behind Twitter and Google+ was rated the least effective social media platform for content marketing. Search Engine Marketing (SEM) is the primary method of paid advertising most B2B marketers opt for, closely followed by print or offline promotion, before online banner ads, promoted posts, social ads, and others. Search engine marketing gives the most ROI for paid advertising efforts. The best place to start when engaging in SEM is Google Adwords. Imagine the amount of traffic your blog will receive when you pay to place a pillar post on the first page of Google for a keyword receiving thousands of monthly searches. With the availability of reviews, case studies, engaging articles that explains what a product is all about, customers don’t need a salesperson to pitch anything to them anymore before deciding on what they want. Brands should leverage the power of content marketing to do what a salesperson can’t achieve. Marketing with engaging content can lead a customer down the sales funnel until he/she is ready to make a purchase. The number of mobile users has overtaken desktop users in recent years. Optimizing every content on your website should now be done for mobile first, then desktop. Emails are not left out. More than half of emails are now opened on mobile phones. As a content marketer, it’s crucial that you have an email service provider that sends out mobile-friendly emails so that you can focus on other tasks like optimizing your emails for click-throughs and maximum opens. 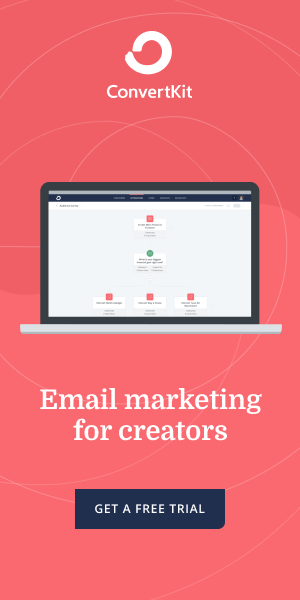 See more interesting email marketing stats here. Something as little as mentioning your subscriber’s name on the subject line can dramatically increase the likelihood that your email will be opened. It shows thoughtfulness and care. A personalized email is stripped of any perceived spam or desperate sales tactic, making it more flattering and welcoming for the customer to open and read it. Unlike Facebook and Twitter, LinkedIn is a social media channel where people get into “business mode” immediately they log in. Hubspot studied 5000 businesses and discovered that LinkedIn had the highest visitor-to-lead conversion rate at 2.74%, almost three times higher (277%) than Twitter that had a 0.69% and Facebook that generated 0.77% conversion rate. LinkedIn is surely one good place to focus our social media marketing efforts on. Marketers are now learning to outsource writing jobs to freelance writers that have the needed subject matter expertise. Freelance writers can be found on job boards like Upwork, Fiverr, Freelancer, and Guru. By the way, I can help you with your writing jobs as a freelance content marketing writer. Buyer’s journey refers to the different stages of awareness a buyer goes through before he’s ready to make a purchase. Almost half of all marketers are now creating content that’s suitable for every stage of a buyer’s journey. Though the buyer journey no longer follows the stages of a sales funnel, it’s still important to create content that attends to the needs of each stage of a customer’s journey. Passive content like static blog posts, pdf eBooks, aren’t leading to conversions the way they once did. New research has it that interactive content like quizzes, calculators, interactive apps, just anything that engages the user in a dynamic way will convert them twice as much as passive content. The stage has been set for marketers to innovate and create dynamic content that’ll engage the user in some way. Simply pumping out more content won’t cut it anymore, we need to find ways to present our content in a novel and exciting way. The whole aim of content marketing is to speak to the needs of buyers with our content through a blog post, social media captions, email newsletters, or case studies. However, you need to attract those prospective customers to your website first before you even have the chance to spread your word to them. You need traffic to your site. Download my Traffic Blueprint For Blogs to get started right away.